We’re so confident you’ll pass the PANCE® if you use Picmonic – we guarantee it. You have purchased a 3 month or longer Picmonic for Physician Assistant subscription. You have Learned at least 500 Picmonics for Physician Assistant prior to your test date. You submit proof of PANCE® results within 30 days of date of receipt of letter/email to feedback@picmonic.com. No shenanigans, no funny business! Just guaranteed success! >What’s the catch with this money back guarantee? We promise there isn’t! Just purchase a subscription to Picmonic that is at least 3 months in length, Learn at least 500 Picmonics, and make sure to take your PANCE® within a year of your subscription expiration date. Then let us know if you don’t pass. >But really…there has to be a catch, right!? Some kind of crazy hoops I have to jump through? No catch here, and hoops are offensive to our very existence! We promise! If you do not pass the PANCE® within one year of your subscription expiration date and meet the criteria above, submit proof to feedback@picmonic.com. We’ll hook you up with a full refund or double the length of your subscription. Whichever you choose! Easy. >Does this guarantee apply to monthly subscriptions? 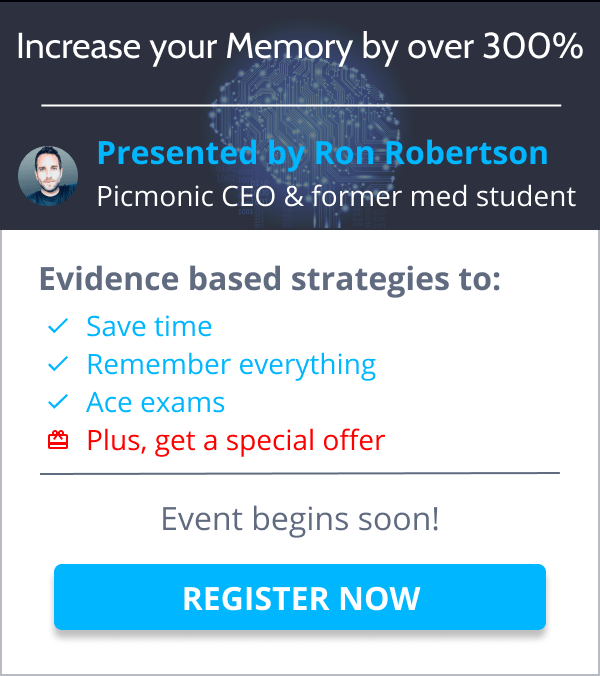 Picmonic covers a ton of information that you need to know for the PANCE®. Our Library is so large that we highly recommend students utilize us for 3 months or longer. 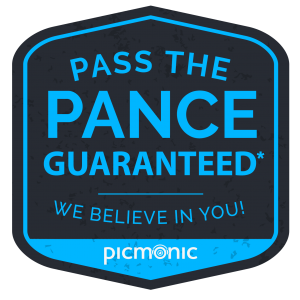 While our monthly subscription is there for you if you want to check out all of what Picmonic has to offer before committing to a more longterm subscription, unfortunately our Pass the PANCE® Guarantee does not apply to monthly subscriptions. We hope we were able to answer all your questions here. If you have any additional questions or comments, shoot us an email at feedback@picmonic.com. * Terms and conditions apply because our lawyers said so.